Anyone who has considered beginning a new exercise routine has had some feelings of apprehension towards making a commitment to a new physical challenge. This can especially be true for the elderly and for those caring for their elderly loved ones. So, if you are worried about how exercise might affect yourself or older loved one, you are not alone. However, according to the Centers for Disease Control and Prevention (CDC), “Regular physical activity is not only fun and healthy, but scientific evidence strongly shows that it’s safe for almost everyone.” Though it is important to check with your health care professionals and to start slow, “the health benefits far outweigh the risk of injury” according to the CDC’s website. 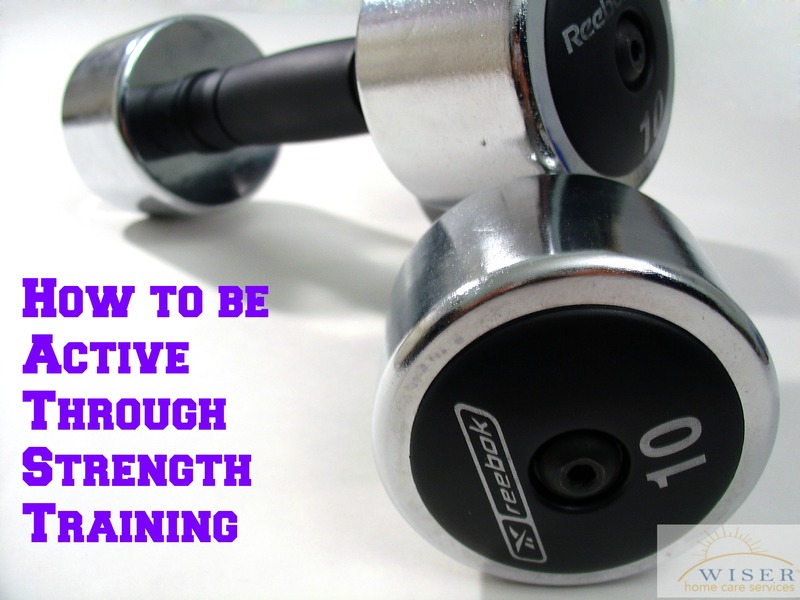 With this in mind, this week we will be discussing a third very important aspect to any exercise routine: Strength training. One great advantage to strength training as an exercise for our elderly loved ones is that it builds muscle and increases metabolism. Both aspects are key in fighting weight gain and obesity. As well, strength training is a great way to cope and relieve symptoms of many chronic conditions like arthritis, diabetes, and osteoporosis. Dumbbell Routine– These include exercises like arm curls, tricep extensions, and forward lunges using dumbbells. Varied Routine- Utilizes body weight and dumbbells. These examples include both a warm-up and a cool down with 3 stages in between to keep your loved one interested. When designing an exercise routine, be sure to incorporate stretching and balance exercises as well. You can read about great benefits and examples of these two types of exercise in two of our previous blogs. Next week, we complete our four week series with our last exercise routine component: endurance exercise. We will discuss various ways to increase heart rate and build endurance. Stay tuned. If you still have questions about how to help your senior start exercising more contact us. We can help your family establish a care plan to personally accommodate your loved one needs.